The criminal defense lawyers at the Law Office of Verderamo & Nunez handle many types of criminal cases. The office is conveniently located directly across from the Collier County Courthouse in Naples, Florida as well as near the Lee County Courthouse in Ft. Myers, FL. If you have pending criminal charges in Collier County or Lee County, Florida, please contact us for a free consultation with a lawyer. You should hire a criminal lawyer because it is your right. 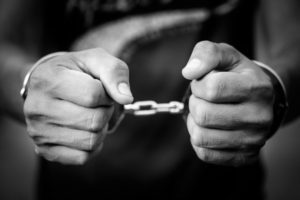 If you are facing criminal charges in Collier or Lee County, Florida, you may not know what rights you have. You are likely feeling stress and anxiety. You may have posted a bond and are wondering if you will get that money back. You may be wondering if you will have to go to jail or prison. You may be curious as to the best and worst possible scenarios you are facing. And it is likely that you are not familiar with how the criminal justice system operates and how you will defend yourself from the seemingly infinite resources of law enforcement and the prosecution. A knowledgeable criminal defense lawyer can help. A criminal defense attorney will utilize the rules of evidence and the rules of criminal procedure to defend you. They will answer your questions and keep you informed throughout the case. They will review the prosecution’s evidence, cross-examine their witnesses and file the proper motions to prevent a violation of your constitutional rights and due process. The goal being to provide you with the best defense possible given your specific situation. Criminal cases are serious because they may result in jail or prison time, fines, probation, no contact orders and can have long lasting consequences such as losing one’s right to own or possess firearms, vote in elections, live in certain areas, etc. There is simply too much at stake in a criminal case to leave your defense to chance. The criminal defense attorneys at the Law Office of Verderamo & Nunez have handled thousands of criminal cases. Who is the best Collier or Lee County Criminal Defense Lawyer? Hiring the best criminal defense attorney for your particular case can be one of the most important decisions you will ever make. When selecting a criminal defense lawyer to handle your case, here are just a few factors out of many that you may want to consider before making a decision. How many years has the lawyer been practicing criminal defense? Is the lawyer a former prosecutor (sometimes this provides knowledge as to the tactics, procedures and philosophies of a particular prosecution office)? Has the lawyer handled a case similar to the one you are charged with? Does the lawyer have trial experience? Do you feel comfortable with your lawyer (you must be able to confide in your attorney)? Does the lawyer routinely handle cases in Lee County? Is the lawyer charging you a fair fee for his/her services? Hiring the best Collier or Lee County criminal defense lawyer for your case is an important decision that should not be taken lightly. You should interview your potential lawyer and take your time making your decision based on some of the factors outlined above. Do not base your decision solely on price and be wary of lawyers that make promises or guarantees to win your business, as these are red flags. Is the Criminal Defense Attorney Based in the County Where Your Charges Are Pending? Many people travel to Naples or Fort Myers for vacation or for business and regrettably some leave with pending criminal charges. They are tempted to hire a lawyer from their hometown or from a general search on the Internet. First, it is important to make sure that the criminal lawyer is licensed and able to practice law in Florida. Second, a lawyer that routinely handles cases in Lee County and Collier County should be more familiar with the local rules of the courts and are sometimes more likely to know the sentencing habits of certain judges or what to expect from dealing with certain prosecutors. Collier and Lee County criminal defense lawyers will likely know the local procedures for obtaining evidence or reviewing evidence from the various local law enforcement agencies and may even know how well or how poorly certain law enforcement officers conduct investigations or testify in court. Additionally, there may be several court dates, hearings, and depositions that the lawyer will need to attend and out-of-county lawyers may charge a premium to compensate for having to travel to and from Lee and Collier counties. The attorneys at the Law Office of Verderamo & Nunez have been handling criminal defense cases in both Lee County and Collier County for years. Local defense attorneys are usually able to make it to court in an emergency, such as when a client is suddenly and unexpectedly rearrested for a violation of probation. A local defense attorney is more likely to know local investigators, which are sometimes necessary to assist in building a strong defense. These are just some of the benefits of hiring Naples or Fort Myers criminal defense lawyers when pending charges are in Collier or Lee County, Florida. The Law Office of Verderamo & Nunez’s has offices located in downtown Fort Myers near the Courthouse and in Naples, across the street from the Courthouse. Likewise, the firm’s lawyers have all personally handled thousands of criminal cases in Collier and Lee County. Does the Lawyer Have Experience Specifically Handling the Criminal Charges You Are Facing? Would you hire a plastic surgeon to perform open-heart surgery or vice versa? The Law Office of Verderamo & Nunez has handled a multitude of criminal defense charges. Here are some, but not all, of the types of charges the office has handled: Murder, Drunk Driving, Boating Under the Influence (BUI), Drug Trafficking, Drug Manufacture, Drug Sales, Drug Possession charges, Paraphernalia, Burglary, Arson, Willful and Wanton Reckless Driving, Suspended License, Expired License, No Valid License, Trespass, Assault, Battery, Domestic Violence, Fishing violations, Hunting violations, Prostitution, Possession of Firearm by Convicted Felons, Violation of Injunction, many types of theft charges such as Grand Theft and Petit theft, etc. How many years experience does the criminal defense lawyer have actually practicing criminal defense? There are many lawyers that graduate from law school and simply hang a shingle on an office and start taking cases. They learn by trial and error, sometimes at the expense of their clients. Attorneys Derek Verderamo and Jose Nunez have years of experience dealing with criminal cases. After first practicing law at a Ft. Lauderdale and Miami based law firm, Derek Verderamo, then opened his own law firm and gradually transferred the practice to Naples, Florida in 2006. Over the last decade, he has defended countless individuals charged with crimes. Jose Nunez worked as an Assistant State Attorney where he practiced from the prosecution’s viewpoint before joining Derek Verderamo to form the Law Office of Verderamo & Nunez. Together, both attorneys work tirelessly to craft the best defense available to each one of their clients. Does the Criminal Defense Lawyer’s Staff Have Experience in the Industry? A criminal defense lawyer is always ultimately responsible to assure that documents are filed correctly, discovery is obtained, depositions and other hearings are set properly, and clients are informed as to where, when and how to sign up or complete their various court requirements. Having the proper staff is vital. While non-lawyer staff are not authorized to provide legal advice to clients, they often interact with and assist clients in their journey through the legal system. The staff at the Law Office of Verderamo & Nunez were selected precisely due to their experience in the criminal justice system. Does the Criminal Defense Attorney Charge a Separate Fee for Trial? Some criminal defense lawyers will charge an additional fee should the case near a “trial posture.” The lawyers at the Law Office of Verderamo & Nunez do not charge an additional trial fee. Call now for a free consultation with a Collier County and Lee County Criminal Defense Lawyer. We understand the importance of hiring the right lawyer for pending criminal charges. We also know that this decision should not be taken lightly. The criminal defense attorneys at the Law Office of Verderamo & Nunez welcome you to our office, located directly across from the Collier County Courthouse in Naples, Florida, for a free consultation about your criminal case. Likewise, should our Lee County office be more convenient, we’re always available to meet with you in person at our office in the Ft. Myers River District. To speak directly with a criminal defense attorney right now, please call 239-775-1004. The office has represented people charged with various types of drug offenses that have involved all types of both illicit and controlled drugs such as marijuana, cocaine, heroin, alprazolam (Xanax), etc. . . . In addiction to the above, the office of Verderamo & Nunez has handled a variety of miscellaneous criminal charges including, but not limited to, Prostitution, Disorderly Intoxication, Disorderly Conduct, Resisting Without Violence, Hunting offenses, Possession of Open Container, Possession of Alcohol by a Minor and Violations of Probation. If you are facing a criminal charge in Lee County and would like to speak to a criminal defense attorney in Fort Myers, please contact the Law Office of Verderamo & Nunez at (239) 775-1004.